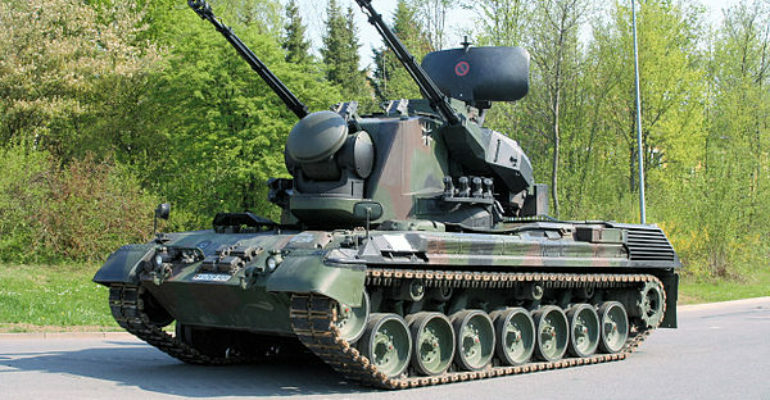 With twin Oerlikon 35 mm guns on a Leopard 1 chassis, the Gepard is a highly effective air defense system that features greater mobility than others of its type. As it is self-propelled and carries its own radars, the Gepard is capable of operating as both a solo air defense unit and as part of a larger coordinated effort. Despite its age, the Gepard 1A2 upgraded variant is still capable of operating successfully in a modern threat environment.